Did you know that wellness and peace are available to all of us? Well in fact, they are! Today we’ll be talking about basic information that you can use to guide your life hand in hand with spirituality and psychology. 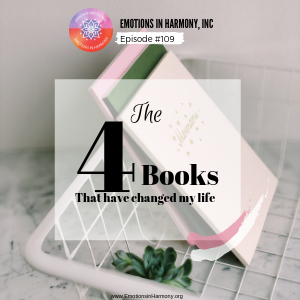 We’re going to talk about a couple of books that contain useful information that can and will help us to reach that level of peace that we are craving in our life. Last week we had the honor of featuring the Youtuber Cristobal Amo as a guest, and this episode will be a translation of said episode! Plus, Dr. Carmen will add her 4 favorite books to the list. Dr. Roman is a dedicated clinical psychologist who helps parents, families and community leaders who have suffered from trauma, anxiety or stress to manage their emotions, guiding them to a harmonious life. What is the egoic system?